The Mechanism for International Criminal Tribunals (MICT or Mechanism) hosted, in May 2017, a series of four events in conjunction with the International Council in Archives (ICA) at the Mechanism’s premises in Arusha. The ICA, established in 1948, is an organization dedicated to the effective management of records and the preservation, care and use of the world’s archival heritage. 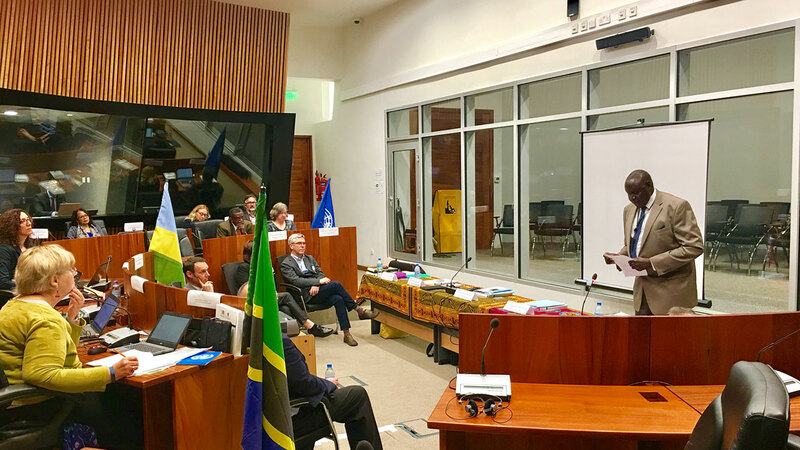 The events in Arusha encompassed the ICA Section of International Organisations’ Annual Conference and technical workshop, the ICA Executive Board meeting, the ICA Programme Commission meeting and a records management training workshop. In total, nearly 200 participants attended the events, which took place between 8 and 19 May 2017. The ICA’s Section of International Organisations is made up of archival professionals representing international organisations from around the world. Its annual three-day conference and technical workshop took place between 8 and 10 May 2017, and was attended by over 40 international delegates, with dozens of others participating virtually from around the world via live on-line video streaming. Under the direction of the Executive Board, the ICA’s Programme Commission (PCOM) is the oversight body of the ICA’s expert groups, projects and programmes; PCOM’s annual meeting took place on 15 and 16 May 2017. Within the framework of PCOM’s Africa Programme, and in cooperation with the National Archives of Tanzania, a workshop for over 70 Tanzanian civil servants with archives and recordkeeping responsibilities was conducted on 17 May. The MICT has endorsed the ICA’s Universal Declaration on Archives, which the Mechanism has translated into Kinyarwanda, Bosnian/Croatian/Serbian and Kiswahili. The MICT is also an active supporter of the ICA’s Africa Programme, a five-year initiative to raise the profile of archives in Africa and to enhance college and university curricula across the continent for archives students and professionals.